Gummies are packed in a high-quality tin case for convenience, which makes it easy to carry around. In our daily life, we are inevitably exposed to different kinds of blue light irritations(like computer and mobile devices etc.) that damage our eye health, accelerates the aged-related degeneration process and may eventually lead to several eye diseases. B.Bling is a gummy that helps to improve our eye health and reverse the degeneration caused by blue light radiations. Wang, Yong, et al. "Protective effect of proanthocyanidins from sea buckthorn (Hippophae rhamnoides L.) seed against visible light-induced retinal degeneration in vivo." Nutrients 8.5 (2016): 245. Ogawa, Kenjirou, et al. 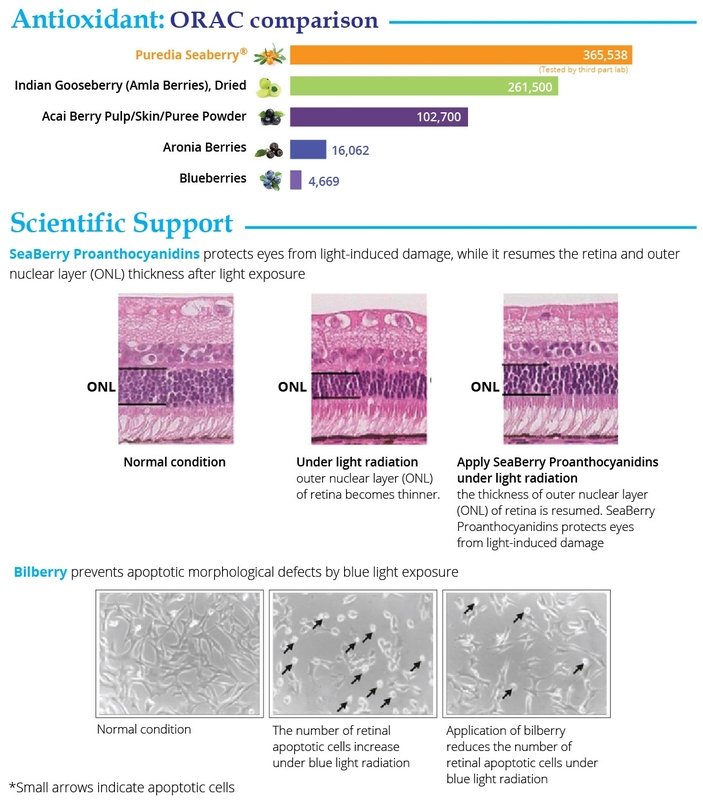 "Protective effects of bilberry and lingonberry extracts against blue light-emitting diode light-induced retinal photoreceptor cell damage in vitro." BMC complementary and alternative medicine 14.1 (2014): 120.